There’s a problem in the transportation industry: loads need to be shipped quickly and truckers are looking for loads to haul. But the communication between shipper and trucker is by way of dozens of phone calls to brokers, which slows the process and leaves smaller, less-known trucking companies out in the cold. That’s where Convoy comes in. Convoy provides shippers with an online service that gets them quotes for things they need to ship, based on a variety of variables, and connects them to companies with trucks in the area. Trucking companies get a mobile app that allows them to accept orders that are placed by shippers. When shippers enter the item they want to ship, they get an immediate quote. 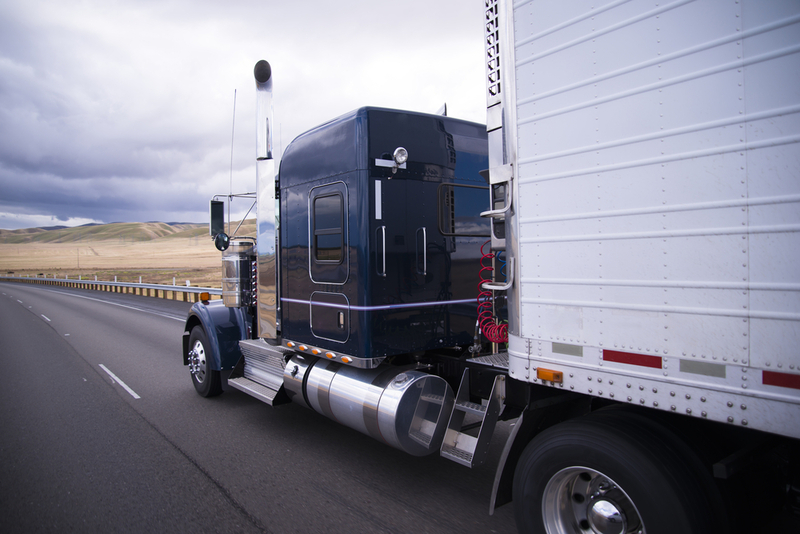 The benefit for truckers is that payment comes quickly—the company promises that payment will be made within 24 hours of the shipment’s arrival at its destination. It also offers a fleet tracking utility within the mobile app. The benefit for the shippers is that they know they’re going to get their load moved and they know the price they’re going to pay for it. Although a trucking logistics startup doesn’t exactly sound like the sexiest startup ever, it’s a much-needed one, and Convoy has gotten some very important votes of confidence. In 2015, it received its initial $2.5 million in venture financing from investors including Bezos Expeditions, Jeff Bezos’ venture-capital company; Salesforce’s Marc Beinoff; and Drew Houston, CEO of Dropbox. Convoy CEO Dan Lewis says that part of the reasoning behind the company was to help people who have small trucking businesses—one or two trucks—to grow into larger ones. Through offering accurate price quotes and simple tools, he hopes to eliminate some of the major logistical hassles trucking companies experience. In 2016, Convoy won a four-year agreement with consumer goods behemoth Unilever NV. Although the deal is not exclusive, it’s still lucrative: Convoy will connect Unilever to trucks for tens of thousands of shipments each year, according to Bloomberg, and will be worth millions of dollars over the next year.